There are times when the only solution to problems would be a handy box (a bit like the TARDIS) in the back of the shop where you could pop down and time travel or clone yourself. But if you see some new faces in the shop today, rest assured it's nothing to do with weird science exeriments. 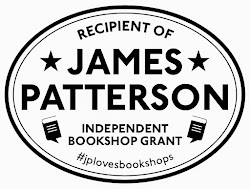 I think one of the biggest challenges of being a bookseller is that as well as all those little things you can’t forget (but can always do in your evenings): stock selection; events planning; newsletters; blogs; reviews; website; invoicing; accounts . . . you have to remember to keep the shop open to the public six days a week as well. We consider ourselves lucky there isn’t much call in Abingdon for trade in the evenings, Sundays or bank holidays. But now both the boys are at school we have still learned to grab at being able to take time off with that same enthusiasm with which our children regard a long awaited chocolate cake. But even with the fantastic staff we are lucky enough to have, there are days when illness or need to take time off coincide. Which is why I would be in the shop on my own today. Instead I have two new staff members – my friends Sally and Jo. When we do big school events it would be handy to clone yourself into about six people to cope with the rush of 300 children with seconds to spare before getting on the coach and only £1 short of the money for the book they want. 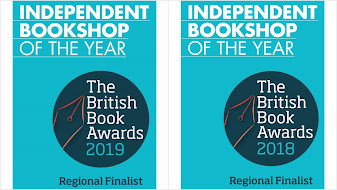 Luckily we often have Sally and Jo, and also Annabel, who al very kindly step in so that we can do a good job – and not forget to keep the shop running. So, I have given Sally and quick run through of how to use the till, the huge list of tickets we are handling at the moment, our Valentine’s offer. That’s enough training. She is now busy checking in all our deliveries. It’s cold outside, but our red roses are lovely and have been going down very well. Even those who may be don’t have a particular special person to give one to are taking them to give to a friend to say thank you. I think Sally and Jo will definitely be the ones receiving a red rose from us today.